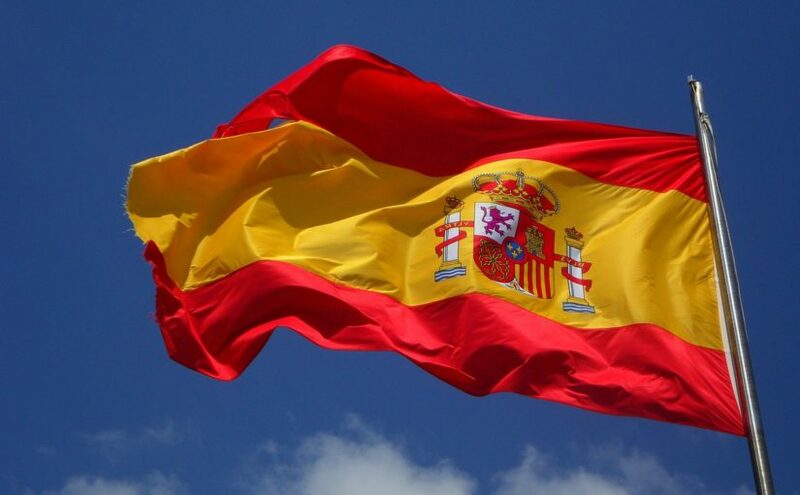 Spain’s tax regulator, commonly known as Agencia Tributaria or the Agency for Tax Administration (AEAT), has issued 60 formal requests to cryptocurrency entities seeking private customer data, such as identification documents, account ownership, trades and other information. Cryptocurrency cash machine operators, exchanges and payment gateways were some of the companies that received the request earlier this week. The information is apparently being used as part of an investigation across the crypto industry to decide whether new control procedures are required. Furthermore, AEAT obtained data from the National Fraud Investigation Office (ONIF) on the whereabouts of offshore bank accounts held by 16 cryptocurrency exchanges registered in Spain. It is not yet known if AEAT is seeking this information to clamp down on people not declaring capital gains from the buying and selling of cryptocurrencies. According to Tom Lee, the head of research at Fundstrat Global Advisor, US taxpayers accrued $92 billion in taxable gains from cryptocurrencies in 2017. Say hello to Coincove, an exciting new startup that is ready to bring Bitcoin to the masses in Latin American (and convince them to swap their local money for better digital currencies). The company is based in San Mateo and founded by dynamic-trio; Tomás Alvarez, Rodrigo González del Cueto and Hannah Kim. Names ring a bell? Thats because they are the founders of Wiitu, a bitcoin transferring service for families. Coincove is currently operating in and concentrating on four Latin American countries. These are: Argentina, Mexico, Spain and Chile. Bitcoin is currently taking the region by storm as could be seen through our previous interview with Fernando Paradiso of BitPagos who revealed that a massive number of local merchants were using the payment gateway. We caught up with Tomás Alvarez, CEO of Coincove to find out more. What funding has Coincove received so far? Coincove is currently finishing up in a Silicon Valley accelerator (Boost VC) and are in the process of raising our seed round. This is all the information we can disclose at the moment. With security vital in crypto currencies, what methods do you have in place to secure customers coin? We can’t disclose the details of the security measures that we take (half the art lies in how you are doing it! ), but we use the best security practices in the Bitcoin space to ensure that our customers’ wallets are safe. For instance, we keep the majority of our funds in offline wallets, we whitelist access to our server by filtering IPs, and all the passwords are encrypted in the database (you’d be surprised how many sites don’t do this). Additionally, to further protect our customers, we encourage them to use 2-factor authentication every time they log in. What do you think will be your largest market in Latin America? Argentina due to inflation ? That’s a very good question. At the moment, we are starting with Mexico as it is our home turf (two of our three founders are from Mexico) and it is a surprisingly big economy ranking at 11th biggest in the world–just after the UK. We’ve witnessed the Bitcoin demand in local Mexican markets skyrocket since a few months ago, so we believe that this is the perfect time to introduce our service to Mexico. We would be the first Mexican company to allow buying and selling Bitcoins within Mexico, so it is very exciting. We believe that other Latin American markets that show a lot of promise are Brazil and Argentina, as you mentioned, as well as Chile and Colombia. These are all markets that we hope to be exploring in the near future. What makes you different than other exchanges in Latin America? You’d be surprised at the small amount of exchanges that currently exist in this vast region, which is what makes Latin America an interesting region to explore. Additionally, we believe that our key differentiator is the simplicity and ease of experience that we provide on our site. We have designed our site to be a friendlier face of the typical Bitcoin-exchange model so that people do not have to be Bitcoin-savvy to interact with it. In essence, we have created a site that makes Bitcoin more accessible to the mass. Are you fully legalised to operate an exchange in Latin America in terms of do you fear being raided by the Government? We focused on Mexico for the moment precisely because of our familiarity with the legal landscape there, and we’ve been consulting with lawyers to ensure that we are in a solid legal position. However, as you may know, conditions in Latin America (and especially the Bitcoin world) can change a lot in very little time, so we are aware that we always have to remain alert to these changes and respond flexibly. What funding methods can customers use to purchase Bitcoins? At the moment, customers can either make deposits at bank locations or at over 10,000 point-of-sale locations across Mexico. We will soon allow online bank transfers as well as more locations for cash deposits.